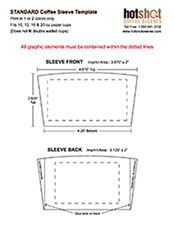 Below you find templates for both our PREMIUM and STARDARD cup sleeves. 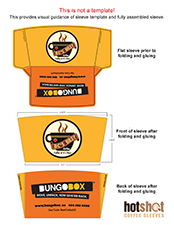 Templates are provided as downloadable ZIP files which include editable Adobe Illustrator and Adobe PDF files. As well you will find helpful instructions for both templates. All orders include some FREE design time layout!